At Resurrection Lutheran School (RLS), God is reflected in all that we do. The staff and faculty model Christian behavior and are committed to planting seeds in the heart and mind of each child. 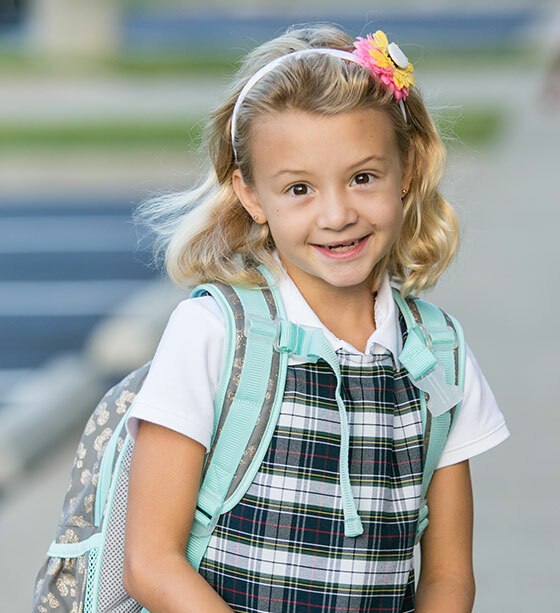 We reach out with the love of Christ and welcome each family with an open heart as we work together to provide a safe, nurturing, challenging, disciplined, stable, Christ-centered educational environment in the Lutheran tradition. Our standards are high both academically and behaviorally and our students are challenged to work to their potential. Christian values are woven into every area of study. Time is set aside for daily prayer, Bible study, and a weekly Chapel service. Community service and a focus on outreach are evidenced in the classroom and in the personal lives of the staff, faculty and RLS families. She has had a fantastic year. She has come home with new academic interests that have peaked her curiosity to the point that she does math worksheets for fun and studies the weather daily to apply what she learned during her weather unit. ....she has very much enjoyed her religion class and the continuity of teachers has been wonderful for relationship building and community. We aren't Lutheran, yet my daughter loves the lessons and finds meaning in all Mrs. Unger does. That to me, is most impressive. My third grader has had a wonderful year. The pace was more intense than he was used to, but I see the positive outcomes already. Our little girl had an amazing experience in the first grade this year! Her love of science flourished with involvement from Science Fun for Everyone, her confidence was boosted by getting a chance to present in front of her classmates multiple times on a variety of topics, and she was exposed to a variety of cultural experiences. Our kids were challenged and enjoyed learning in the hands on environment. They like going to school - can't ask for more as a parent! Unbelievable welcoming atmosphere of kindness!! Middle school teachers were there to spend time with our child one on one to get her caught up on concepts that were not taught at previous school. From the outside perspective RLS does an exemplary job with the difficult job of educating and instilling Christ like values in our children. It takes a village to raise a child and RLS is an integral part of that process. RLS takes kids where they are and then extends out to each family from there. It is our job as parents then to reach out further into the community. RLS does a great job at meeting the state standards, while also offering much more - character building, leadership, spiritual growth, etc.